My name is Anne Ondaye and I come from Karachuonyo in Homabay County. My first interaction with GROOTS Kenya was in 2002 when I was invited to attend a workshop on HIV/AIDS that was being facilitated by the organization. I met a group of women from Mathare at the workshop who spoke openly about living positively, and having been struggling to do just that, I knew that these were the right people to help me. I had gotten tested after my husband’s death and learnt that I was HIV positive. Together with Sara, a friend who was also a widow and HIV positive, we would sit down for hours and talk and cry over how we were going to die soon and leave our children behind. As we could not come out with our status publicly, Sara and I decided to go door to door to our widowed neighbors homes and ask them to get tested for HIV. However we did not know what else to tell them other than to get tested and make plans for what would happen to their children once they (the widows) died. More women joined us until there were 15 members in the group which we later named Power Positive. The group served as a support structure where we offered emotional support to one another and contributed money to purchase basic items such as food for those who could not afford it. It has been 15 years since I joined GROOTS Kenya and I really feel like I owe them my life. Gradually, I became stronger and bolder and I had hope that I wasn’t going to just die and leave my children orphaned. I started eating healthy and generally living positively and I even started to disclose my status publicly. GROOTS Kenya educated me on my rights to land and I was able to have my three daughters listed as beneficiaries to their father’s land, something that was unheard of in the Luo Culture. My in-laws had already tried to disinherit me and my children but a watchdog group intervened and I was given back my husband’s property. My community has benefited a great deal as a result of GROOTS Kenya’s presence in the region. 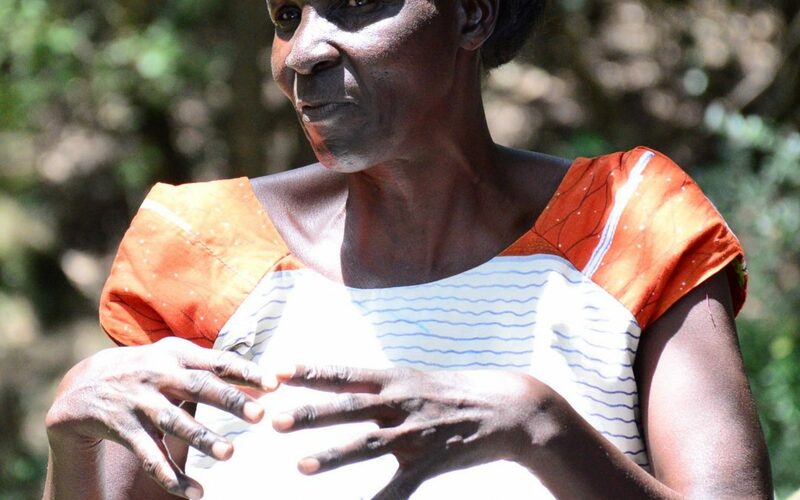 Many women who had been kicked out of their husband’s homes over allegations of having infected their husbands with HIV were able to go back to their husband’s land and they realized that they too had a say on key decisions. We have a good working relationship with the administration and we can report any issues that we have. Several women adopted resilient farming practices and now have food security and most importantly, we no longer have to unwillingly partake in some cultural practices that demean women. I know deep down in my heart that the legacy of GROOTS Kenya will live on because all the capacity building and empowerment that they have done for women will always remain in their communities and the effects will be felt for a long time to come. I owe GROOTS Kenya my life, if it were not for their intervention at that crucial point in my life, I probably would be long dead.